For several summers while taking bike rides along the Chicago lakeshore, I regularly passed a construction zone just south of McCormick Center. 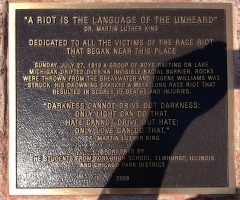 Once a few summers ago, stopping near the zone, I noticed a rock along the path with what appeared to be a plaque on it. 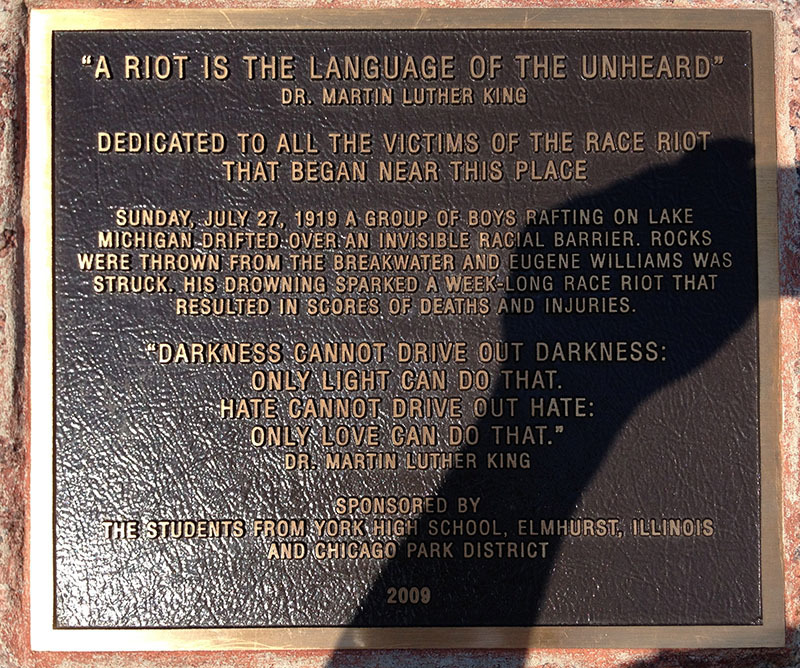 Taking a closer look, I saw that the plaque was the product of a 2009 high school project marking the spot where the 1919 Chicago race riot, one of the bloodiest and largest race riots in American history, had begun. The rock and plaque, while nice, didn’t seem to do justice to the significance of the event and left me reflecting on how we commemorate sites of historical violence. Geoffrey Brooks was one of my two favorite teachers growing up. My sixth-grade teacher, he was young and hip, and he first introduced me to the idea of computers and computing. He was also a Black man, which I noticed at the time but didn’t particularly think about—I was, after all, a sixth-grader. As I look back now, I realize his influence on me not only for the many things he taught me in the classroom but for who and what he was, particularly in the United States in the 1970s. I appreciate him all the more now understanding that historical social context.